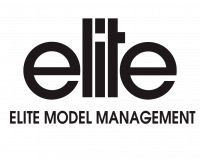 Elite HKChina Model Management was established in November of 1994 with the objective of discovering and bringing the very best Asian models to the world. We are the Hong Kong representative of Elite Model Management Corporation, the world’s largest and most prestigious modeling agency with 33 affiliated agencies in major cities around the world, representing more than 750 top models. Elite HKChina Model Management focus on providing outstanding models for fashion shows, advertisements, TV commercials, editorials, promotions and exhibitions. They are currently one of the leading modeling agencies in Hong Kong with over hundred models in their portfolio. Elite HKChina Model Management plays an important role in the fashion, beauty and advertising industry. They are proud to provide excellent services and professionalism to models and clients.